Apple has launched the latest version of its Boot Camp application. 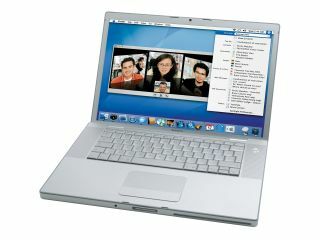 The new release enables Windows Vista to be installed alongside OS X on Intel-based Macs - should you want to. The software, version 1.2, is now available for free download . The Vista support is in addition to Boot Camp's existing support for XP. Bizarrely, Vista-bashing seems to have become an Apple pastime of late, with the company getting unusually catty in its Get a Mac series of ads. The time of the release is of particular interest, since many commentators thought Boot Camp Vista support would wait for the next version of OS X. Named Leopard, it was expected that the new operating system would be released any time now. However, according to reports last week, Leopard has been delayed until the autumn. Whether or not this is true, the rumours will only be fuelled by Apple 's decision to release a Vista-supporting version of Boot Camp now. With Boot Camp, Windows is installed in a separate partition to OS X. The new version will work with any of the Windows Vista flavours but not with any Vista upgrade packs; you'll need the full fat release. Apple says users of an older version of Boot Camp can also upgrade easily: "You don't need to partition your hard drive again (unless you want to change its size) or reinstall your Macintosh and Windows software or documents." Boot Camp 1.2 also includes new Vista-compatible drivers for Intel-based Apple hardware, while there's also full support for the Apple Remote on both Vista and XP. Interestingly, the remote doesn't just work with iTunes...it also supports Windows Media Player .